Monogramming included. 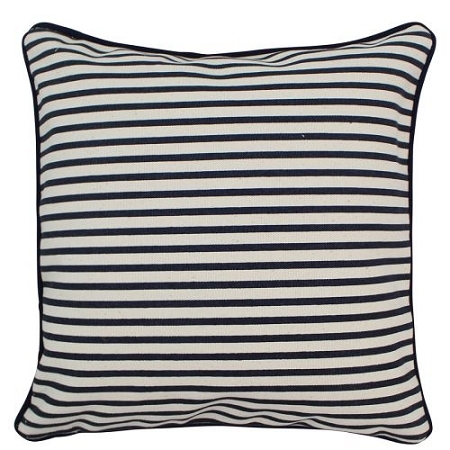 16oz Canvas Navy stripe pillows offered in two sizes to dress up any space. 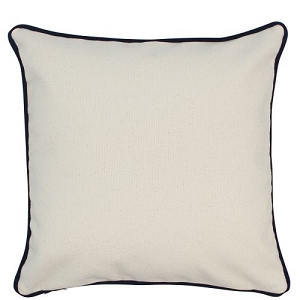 Mix and Match with other patterns and our Solid Monogram Pillows fulled a stylish look on sofas, and chairs, or even in the bedroom. 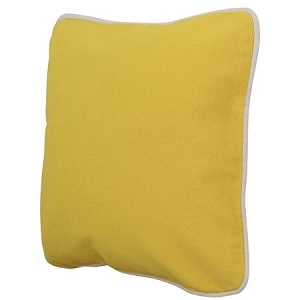 These pillows feature a hidden zip closure and contrast piping around the edge. 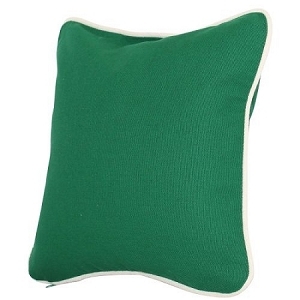 Purchase the pillowcase alone to recover and add new life to old pillows, or add the insert for just $5. 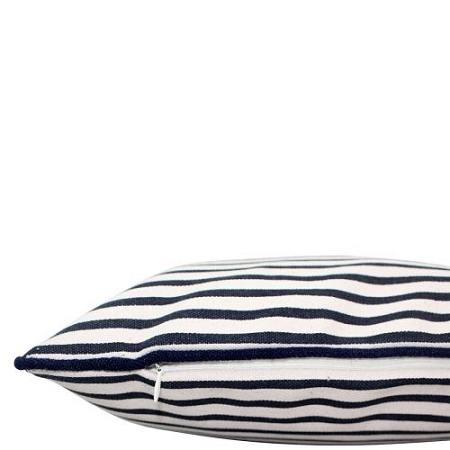 Perfect for nautical or sports themed decor. Add a red monogram and use for patriotic holidays!